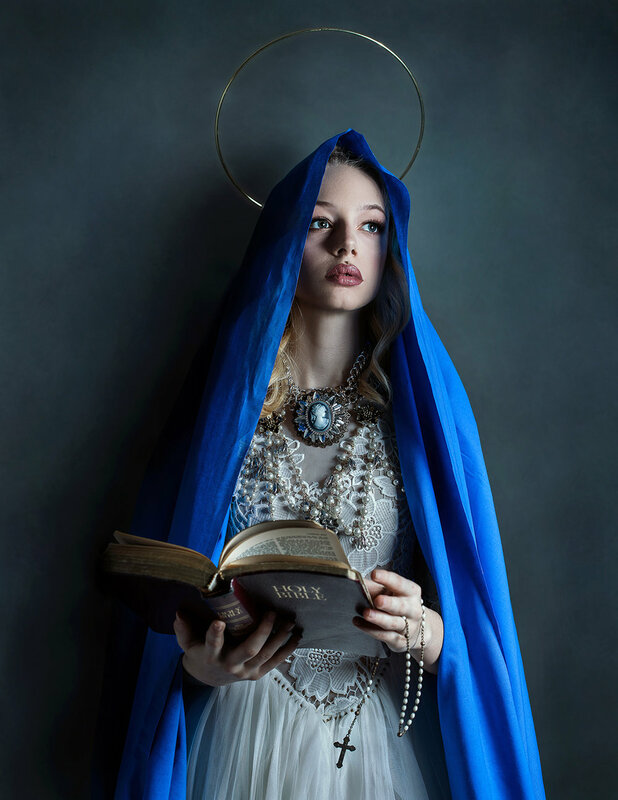 This series was an exploration of how clothes, intricate symbolism, and designs become objects of desire and worship, an editorial commentary about Our Lady of Sorrow. It depicts the intense suffering and grief Mother Mary experienced during the passing of our savior—Jesus Christ—as well as the courage, love, and trust Mary had as she received each new suffering. Our goal for this project was to use photography techniques to highlight these intense feelings and emotions.